The Church of England is the Established Church in England, and the Mother Church of the Anglican Communion, covering 160 countries. It is organised into two Provinces. The northern Province is led by the Primate, the Archbishop of York, and the southern by the Primate of all England, the Archbishop of Canterbury. Each Province is made up of Dioceses, of which there are 43 in England. These Dioceses are divided into Parishes overseen by Parish Priests, assisted by Curates. Her Majesty the Queen is the Supreme Governor of the Church of England. 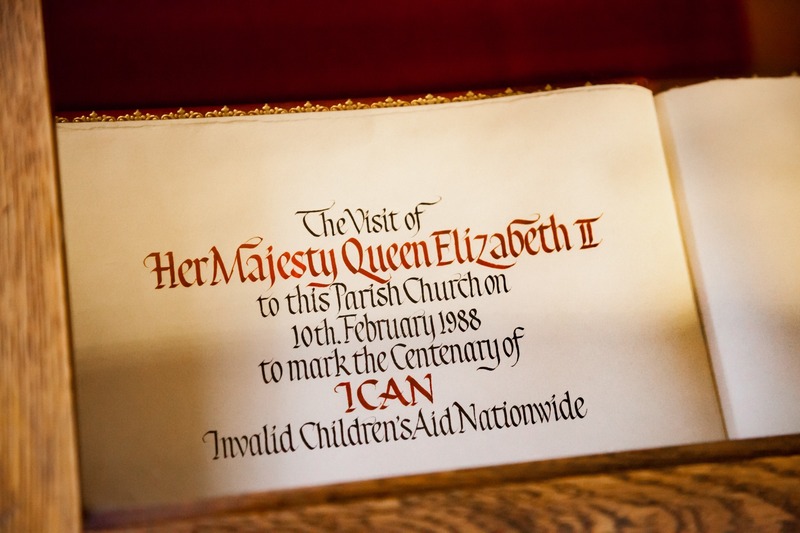 Her Majesty appoints Archbishops, Bishops and Deans of Cathedrals on the advice of the Prime Minister. The Church is episcopally led with 108 Bishops and synodically governed. The General Synod of the Church of England is elected from laity and clergy of every diocese and meets at least twice a year in London or York to consider legislation for the Church. Since AD.200 there have been Christians in Britain. Christianity became the dominant religion through the joining of Celtic Christianity with missions from Rome led by St Augustine in 597. Throughout times of war, peace and famine, the Church took a crucial role in the development of society. This culminated in the elevation of Cardinal Wolsey as Henry VIII's principal minister. Henry VIII desire for a male heir, and for Anne Boleyn, caused him to petition the Pope for an annulment of his marriage to Katherine of Aragon. The Pope at the time was besieged in Rome by Katherine's nephew and was therefore unable to grant the annulment. Henry therefore proclaimed himself Supreme Head of the Church of England. This led to the Church of England existing separately from Rome, although its Bishops have always been consecrated in unbroken succession from St Peter and it kept its adherence to the Catholic Creeds. People are sometimes surprised that the word ‘Protestant’ exists nowhere in the Book of Common Prayer. The foundation of Anglican faith and worship is found within the Scriptures, the Catholic creeds and the tradition of the Church. The Anglican Communion views the Old and New Testaments as the standard and the rule of faith, containing all things necessary for salvation, though the Church of England often suffers from considerable dispute on the interpretation of Scripture. Alongside the Creeds, the Church also observes the two main sacraments ordained by Christ Himself, these being Baptism, and the Lord's Supper or Eucharist, as it is also known. The Anglican Communion is a worldwide family of churches with more than 70 million members. Following the example and teachings of Jesus Christ, it is committed to proclaiming the good news of the Gospel in the whole of creation. By drawing on scripture, tradition and reason, the Church of England bears witness to the saving work of God in the world through the death and resurrection of his Son. The Church believes that in Christ the very word and life of God was made flesh and lived on Earth as a human being. Through the Gospel of Christ, we hear the gentle rule of God’s love calling the human heart and mind back to the original relationship of Creator and creature.